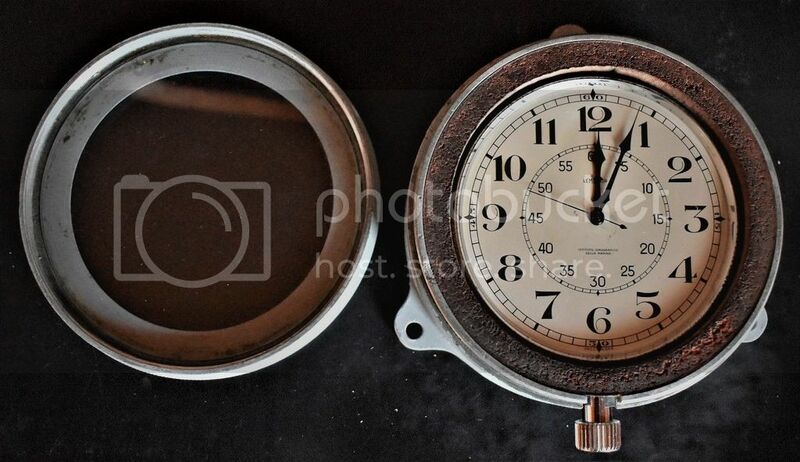 I just bought a Italian Navy issued Lemania navigation watch should get it next week. I would like to thank Andrea since the seller was located in Italy I ask Andrea for some help and he gave the seller a call. I also had the seller send a photo with the todays date to make sure and FedEx shipping so it don't get lost along the way. The seller had zero post at the MWR forum so I did things I don't normally do. I don't have a Italian issued time piece in the collection now I do. Not much on the net about these except ones that sold at auction houses. Here are the sellers photo's was a little worried the seller took his time shipping I paid on Friday and it got shipped today. Think I will get a wooden Plaque varnish it and mount this so I can hang it on the wall. 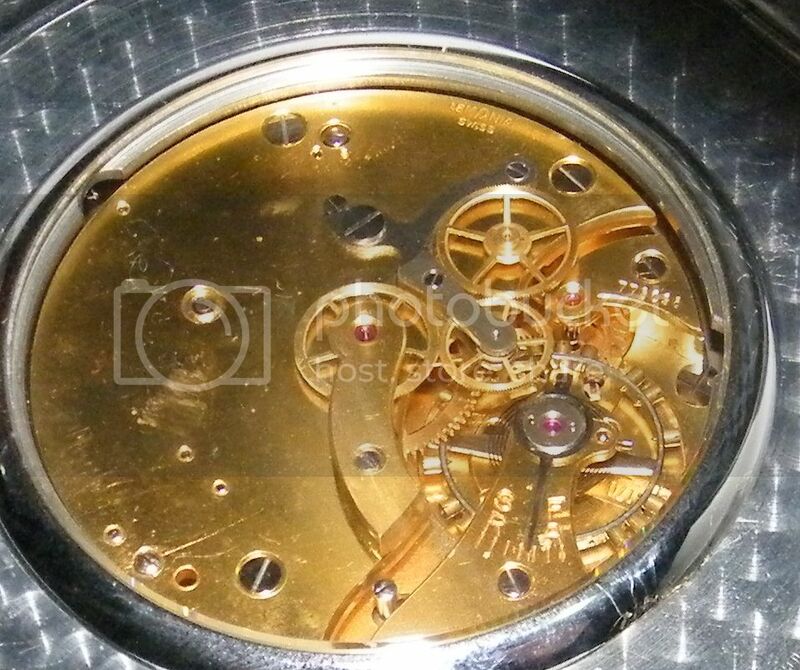 Wished I could read this but this thread will show you the size of this watch and there's a Longines version to. Last edited by River Rat on Sat Apr 15, 2017 2:02 pm, edited 1 time in total. So you got it?? Pics! Received it today Marco was a great seller and it was well packaged double boxed so if any one is thinking of buying the other one that's a different make at the MWR PX have no fear. FedEx was a pain they had it on clearance hold and for some reason they thought it was over 2500 and wanted my social security number had to tell them to look at the customs form that stated the price that was no were close to that did get delivered on the day it was promised a few photo's and thanks again for Andrea help. 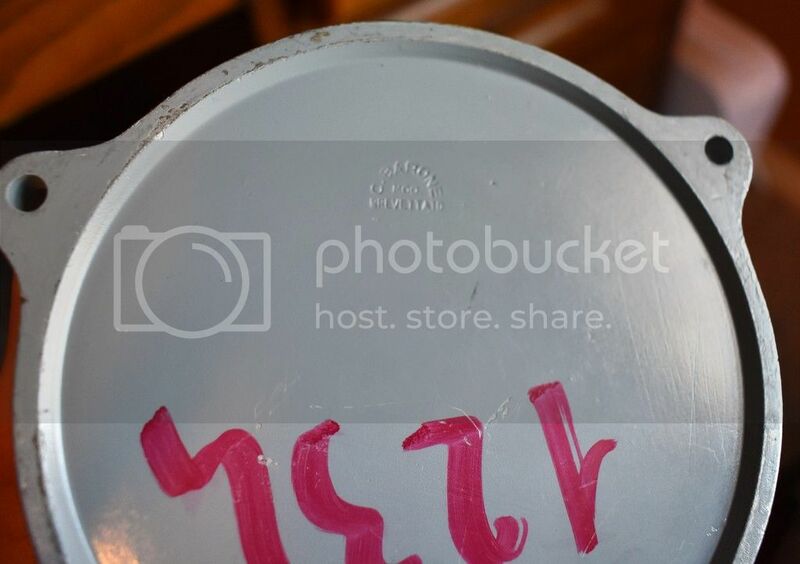 This ones the sellers photo's did not want to scratch the case by opening it. 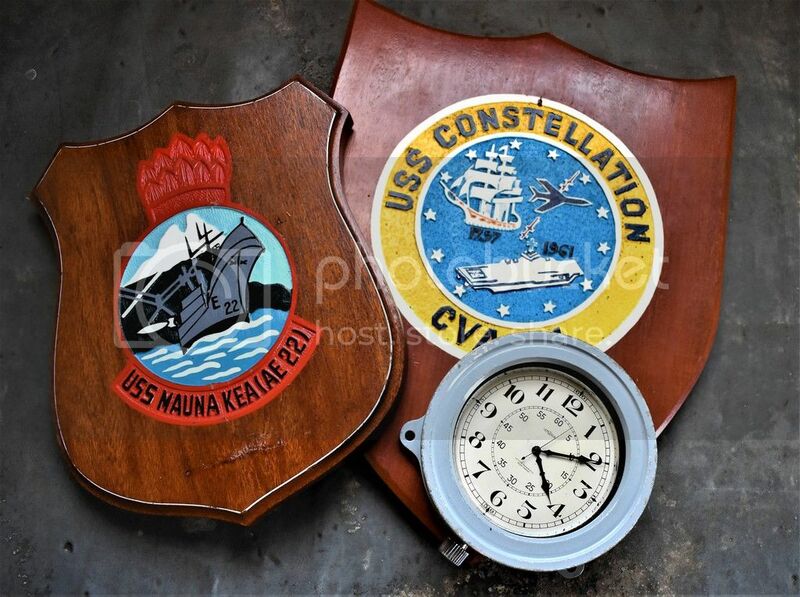 The two US Navy ships plaques were sold as a pair for less than 20 bucks had to buy two to get the one I wanted the USS Mauna Kea AE-22 was my old ship now sunk as a target off the coast of Hawaii that was the deal of the week. Did go on board the USS Constellation once knew some one who was on board it he was on it for two years he gave me a tour of it and we both still got lost on it any carrier is huge even the older ones. 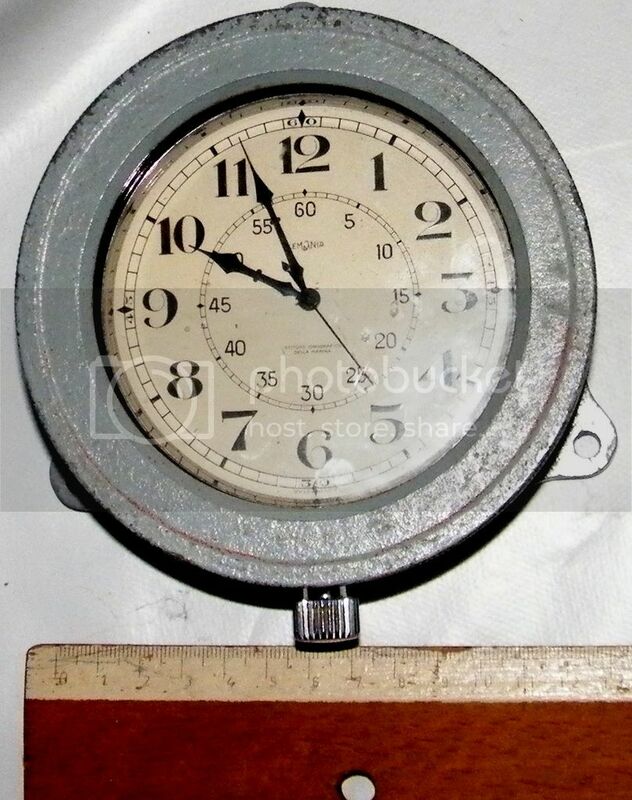 One aircraft clock on my want list one of these days if I ever find one for a fair price that's most likely a German one used in WW2 he did say it was from a 109 one of there fighter aircraft . 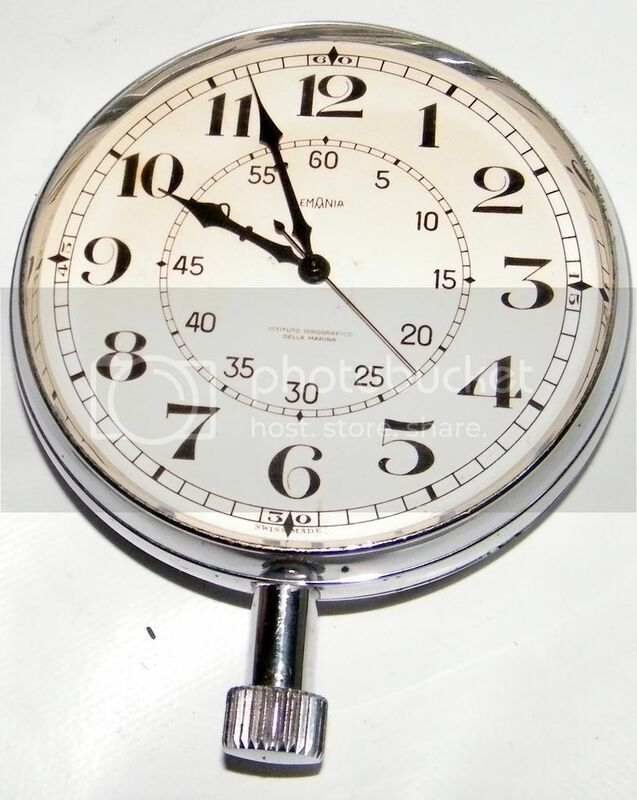 One thing I found out is this was most likely made in the 1950's and most Italian military issued watches of any kind are rare. And there more info on there wristwatches every body wants there diver watches and that made there civilian version Panerai a big seller and even I would like one of there issued pilot watches like Leonidas or Zenith. 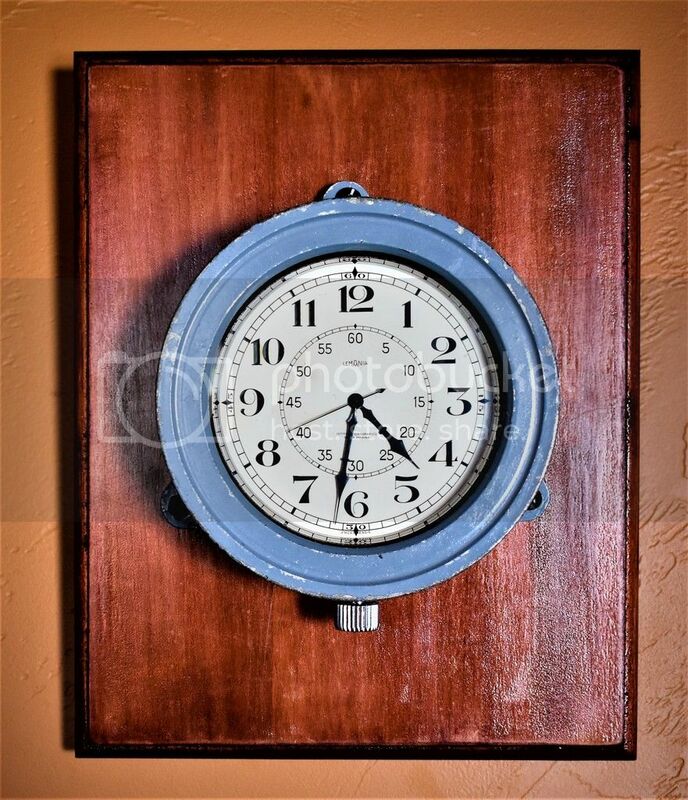 But did not realize how rare there naval clocks of any kind are there just not much info since most are not in collectors hands. 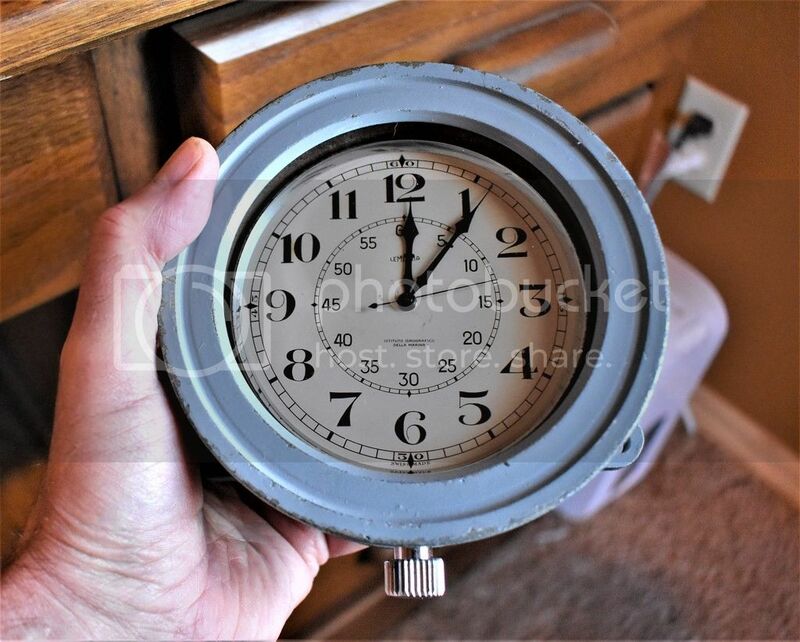 I got two clocks in the collection I guess you can call rare my German U-Boat clock and this Italian Navigation clock/ pocket watch but I seen more U-Boat clocks and never seen this Lemania deck watch until the sells ad and that made me do a search on the net were it was tough just to find a few things. 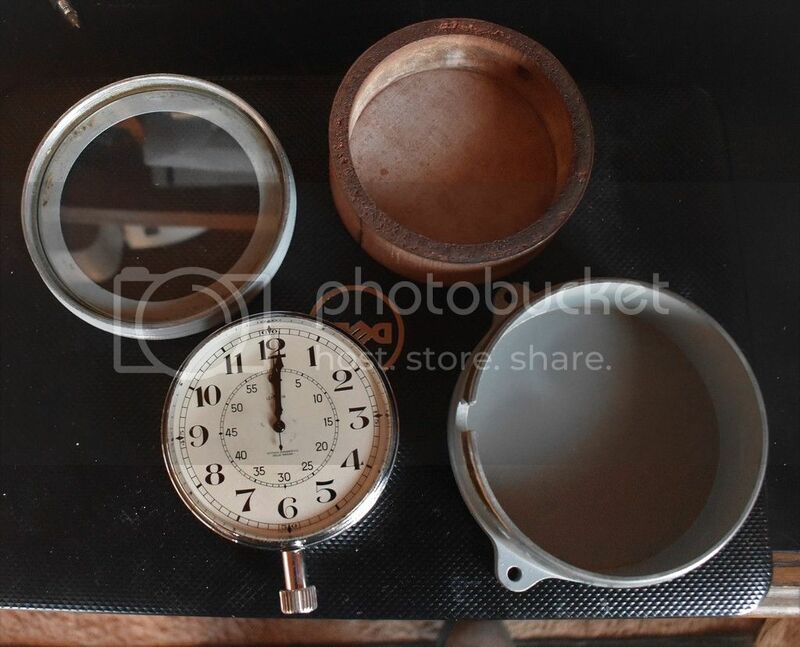 Did get a fair deal on it tell you as rare as it is I paid more for the U-Boat clock and there more of them out there. 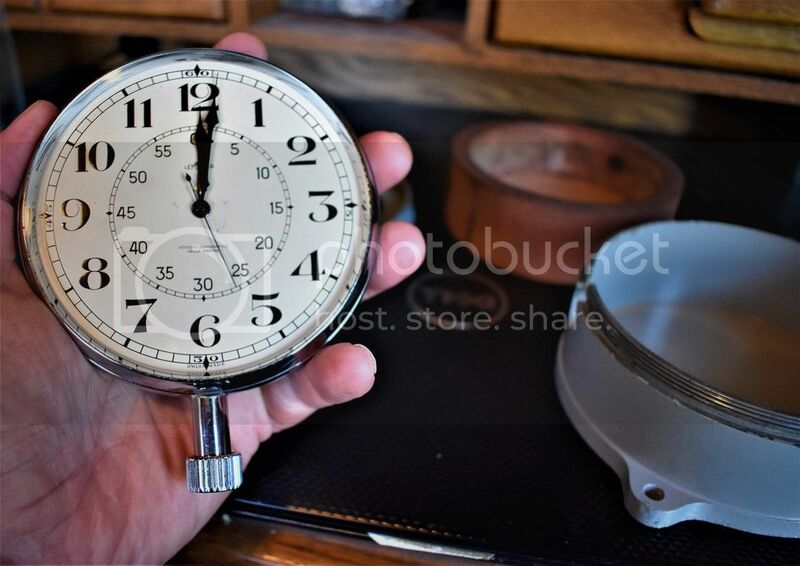 I just varnish a wooden plaque going to mount this clock to it so I can hang it on the wall it gains about 8 to 10 seconds a day not bad the seller did say he had a watchmaker re-oil it and time it before shipping. This is too cool. Phenomenal job with the mounting. Been a while since I took a great movement shot. 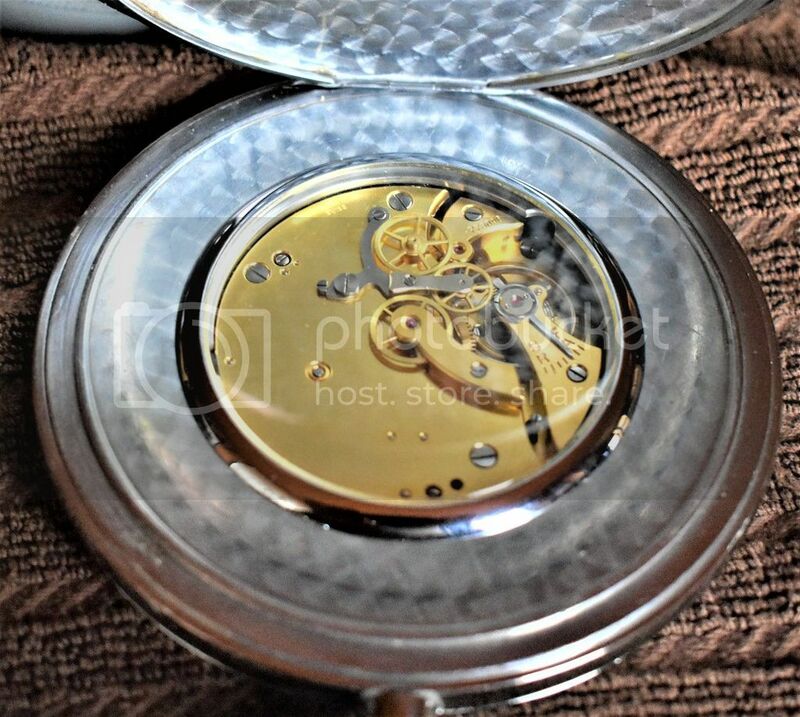 Finely got the guts to pop the case back to look at the movement before I send it off to be serviced since it will be used as a clock every day weird thing my local watchmaker would not touch it said they don't do clocks funny they do pocket watches if they would of pop the back they would of saw a 18 size pocket watch movement. 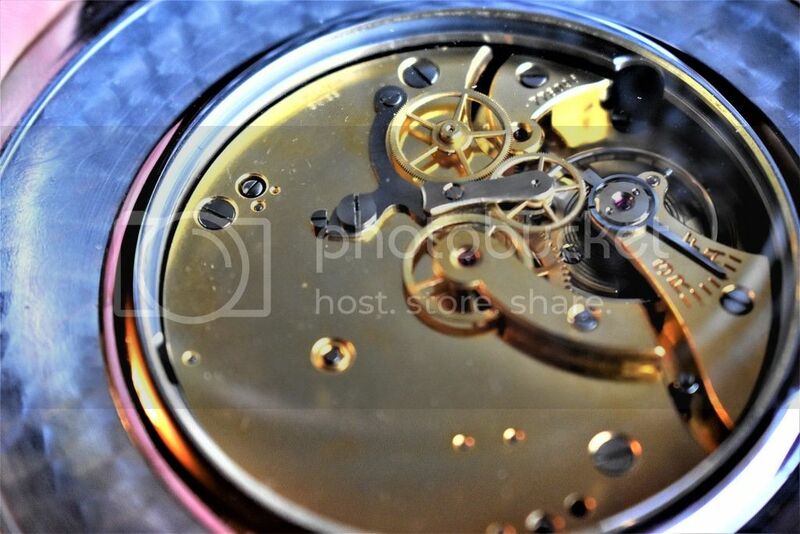 So sent it back east the other day the watchmaker specializes in military watches and worked on this movement before. Some thing I did not expect a crystal over the movement must of been for better weather proofing. 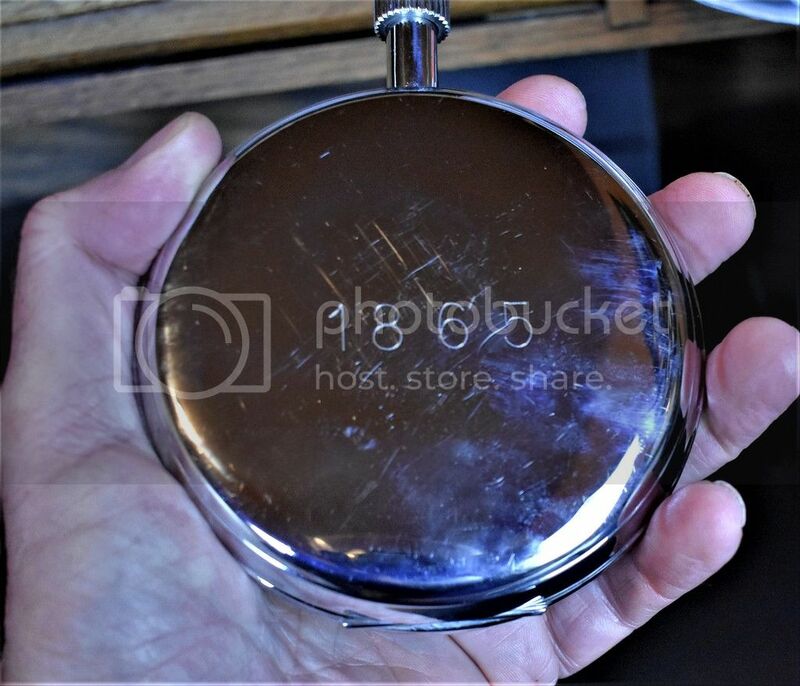 Here is a French Navy version Deck watch with the same movement you hit links in sales ad like movement and a photo pops up cool this one came with decom papers. This seller also service watches I figure since he had one of these probably the best to trust servicing it so he got the job. Thanks and welcome to the forum. 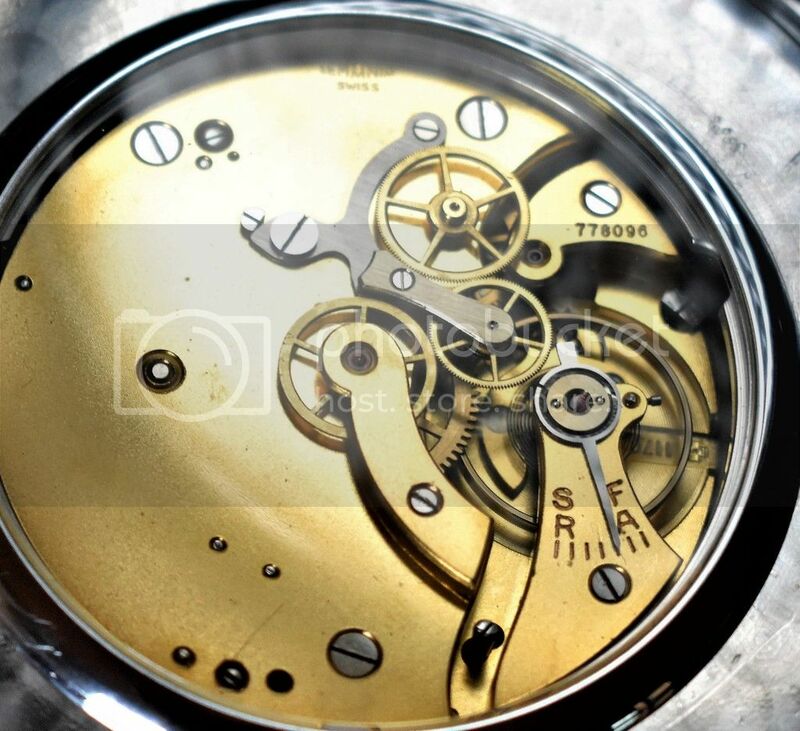 I just got it back from service I guess the watchmaker did not tighten the screw good enough that holds the stem in place was winding it and pulled the stem to set the time and it pulled completely out. 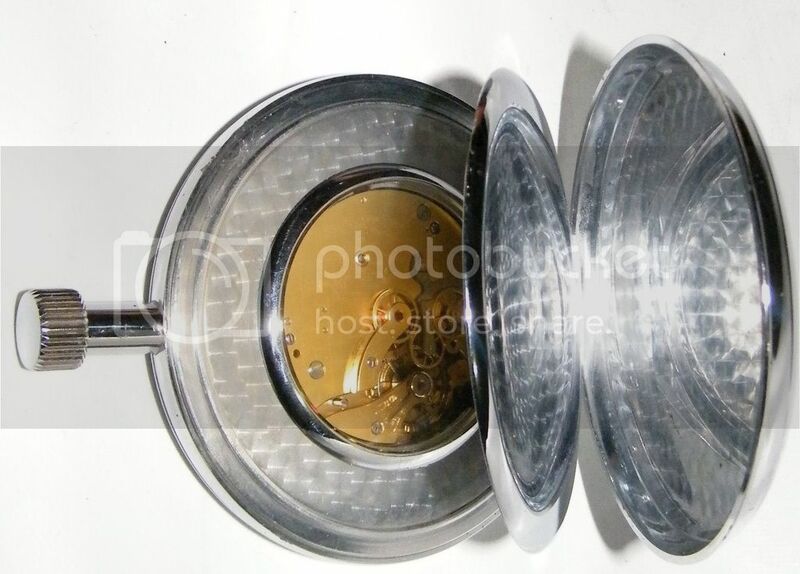 Was a easy fix the tough part was removing the glass cover over the movement did not want the glass to brake. Loosened the screw so the stem goes all the way down and retightened and good as new. Surprised my self doing that minor repair.